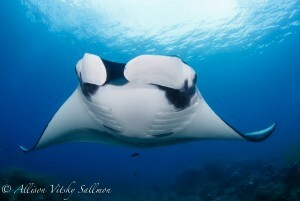 Passing through a narrow passage, we could see the manta ray-shaped lagoon located near Piaynemo in the Fam Archipelago. 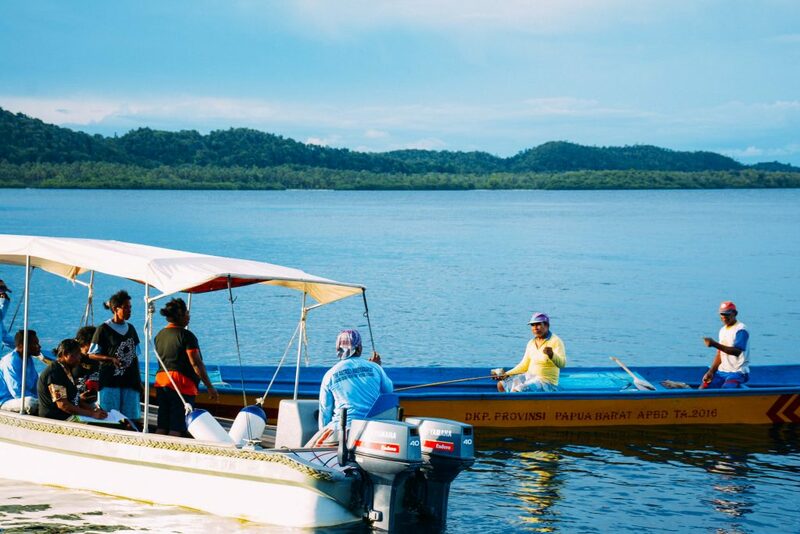 As the Fam MPA Patrol Team’s speedboat turned her twin 45 PKs engine toward the lagoon, we were surrounded by the mighty karst hills and the calm, emerald water that soothingly cradles the lagoon. Almost whispering, a middle-aged woman said, “Here we are. It is I…Yosina Rumbewas…who, first conveyed the idea for the archipelago’s women to be part of the MPA’s patrol team.” Though stammering, every word flowing rhythmically between each joyous sip of betel and areca nut she continuously chewed, her facial expression implicitly speaks of her earnestness. This was March 2018, as several of my colleagues from Conservation International (CI) Indonesia and I, finally got the chance to interview her. 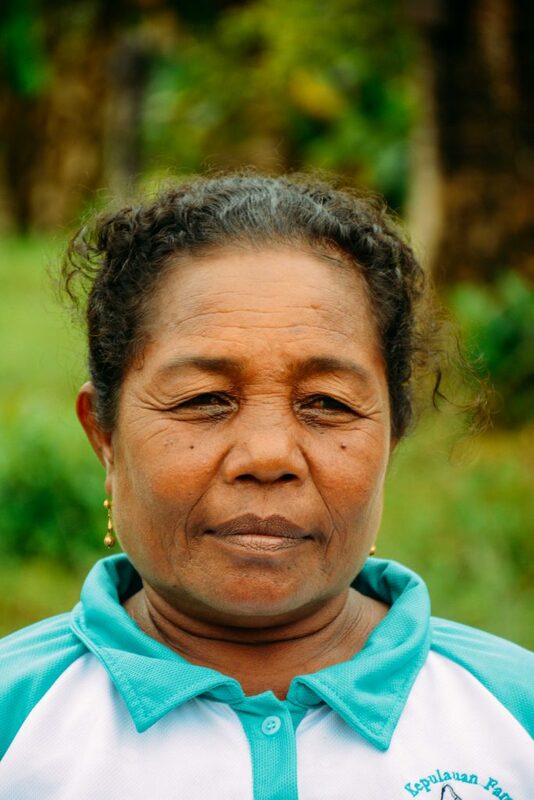 Mama Yosina is just another “common” lady from Pam Village; one of the three in the Fam Archipelago. Just like most women here, Mama Yosina is also another struggling housewife trying to help provide food for the table by doing anything she can get her hands on: from weaving Senat–mat made of sago’s stem, making roofs out of sago leafs, farming, to fishing. Back in 2016, the initiative to establish Marine Protected Area (MPA) in the Fam Archipelago intensified. After series of meetings and socialization, on February 16th2017, members of the community from Fam’s three villages, Pam, Saukabu, and Saupapir, strengthened the consensus reached through an Adat Declaration (Customary Declaration), conducted to coincide with the eighty sixth commemoration of the day when Holy Bible was first introduced to the villagers in the archipelago. It’s not surprising actually. 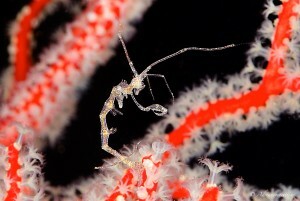 Around the same time period Raja Ampat became familiar to the eyes of a global audience. 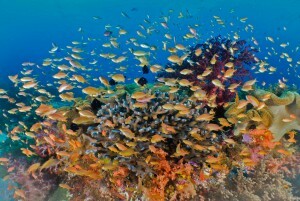 It is “home” to no less than 75 percent of coral reefs species in the world and more than 1,500 species of reef fish. 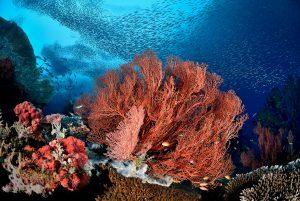 Indeed, it is the Heart of the World’s Coral Triangle. Those facts are reflected through significant increases of fisheries activities –including those that are illegal. In the past decade; tourism followed suit. 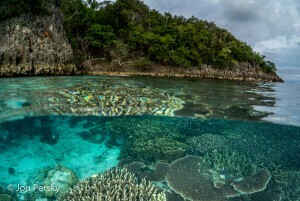 These escalations just added more pressure to Raja Ampat’s natural susceptibility as there is only so much capacity to “accommodate” all the various activities now taking place. Through the eyes of Mama Yosina these pressures inevitably occurred in Fam as well. “When conservation came to Pam in 2016, I started joining the village meetings. I said to Mr. ‘Kris, that the village women and I would like to join the patrol team, too.” (Mama Yosina is referring to Kristian Thebu, CI Indonesia’s Raja Ampat Program Manager.) Being a paternal society, naturally we asked whether her wish was challenged, especially by the village (male) elders; but she just replied with a curious smile. 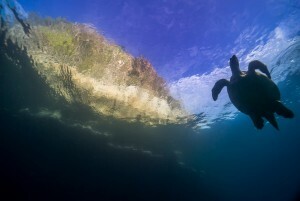 In 2004, based on aspirations sown through grass root organizations, an initiative to design a system of MPAs was instigated by CI Indonesia with it’s various partners, to be managed by both local and central government. 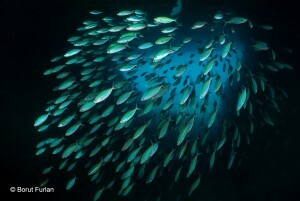 Fam Archipelago is one of the “younger” MPAs in Raja Ampat. CI Indonesia took a slightly different approach in Fam’s MPA development compared to the process used in other area in Raja Ampat. 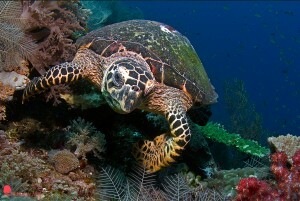 With a relatively high intensity of the community’s involvement, Fam Archipelago’s MPA is projected to become a “Centre of Excellence” in how to manage a community-driven protected area… An MPA program designed to be be integral part of implementing sustainable tourism by “walking” hand-in-hand with development of community-based, alternative livelihood initiatives . 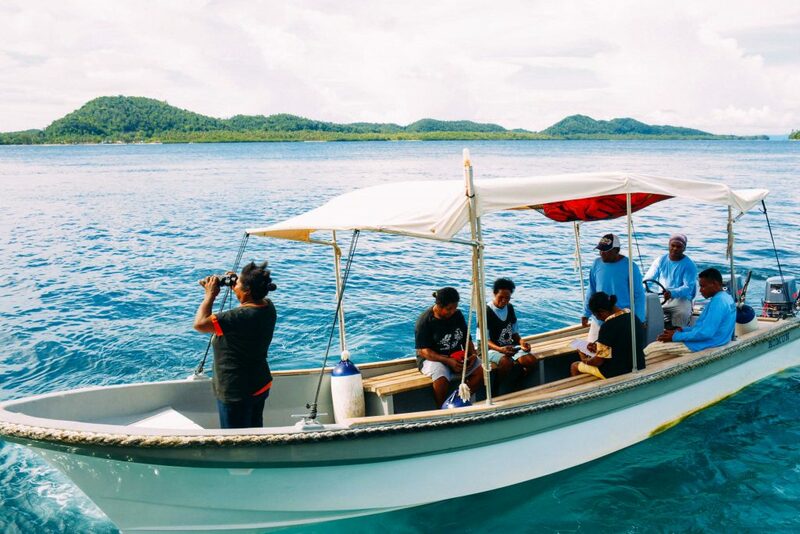 Community-based patrol is one of the management efforts in Fam Archipelago that aims to anticipate a spike in “utilization” intensity that inevitably comes in various forms. 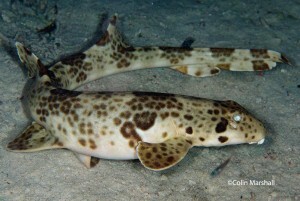 A patrol team that includes women, however, is unique to FAM’s MPA. Four women from three villages participate, usually taking turns and aided by at least three (male) members of the Regular Patrol team. The women patrol Fam’s water at least four times a month and focus on supervising the tourism activities in Piaynemo and nearby areas. 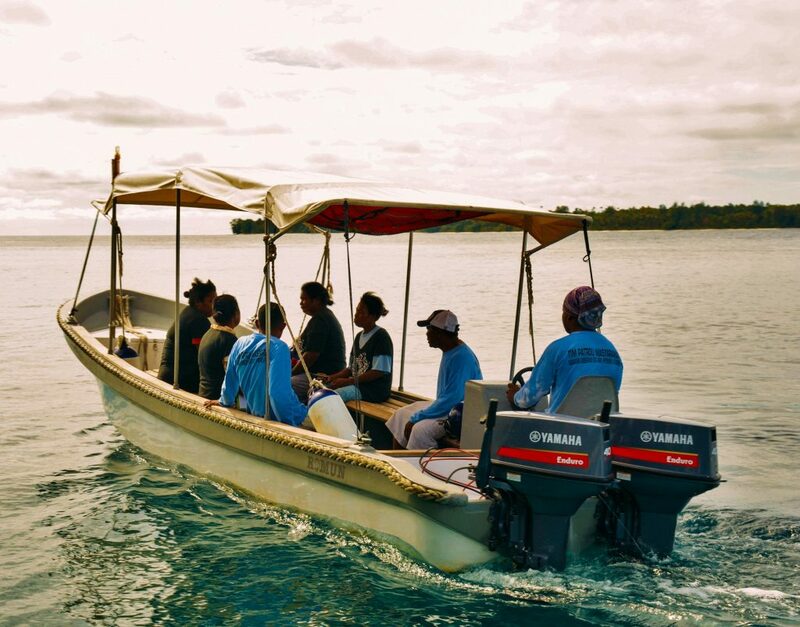 While not thought of as traditional feminist activists, Mama Yosina’s and her “Lady Guardians” unprecedented achievements are helping revitalize women’s roles in Raja Ampat conservation and MPA management.